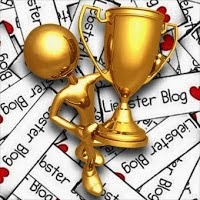 It was Monday evening that Jaynthbusi nominated my blog for the liebster blogger award. First of all I would like to thank him for considering me for this award. It felt good that people were reading my blog and liked it. I felt honored and privileged to have been chosen. As I had heard about it for the first time let me explain it to you with its rules and regulations. It is said that , the Liebster Blog Award started in Germany(probably) & is used to highlight new/recent/lesser known blogs or let say blogs with less than 200 followers. This is an award given to new and upcoming bloggers who deserve to be out-shown in blogosphere as they are good at what they are blogging. It also creates a chance for introducing new bloggers. HOW A LIEBSTER AWARD WORKS ? The Liebster is an award you accept with the intention of paying it forward. · Answer the 10 questions the tagger has given you. · Tag 10 more Bloggers to pass the award to them (with no more than 200 followers; no tagging back). · Make 10 questions for the people you tagged. · Tell the people you tagged that you did. 1. What is your opinion about yourself, compare it with your favorite fictional character (cartoon)? I am a happy go lucky person. My favorite cartoon fictional character is “Jerry” and just like him I love troubling my friends. I may harass them but I even care for them a lot. All I earn and ever wish to earn from blogging is the love and respect of the people. 3. What is your favorite music genre? Why? My favorite genre is old romantic classical songs. They give me a peace of mind. Definitely college. My college life is as awesome as I can expect it to be. I never wished for anything more. 5. You think someone good must come to politics? If so why? Aren't you good? Politics is a place where it’s easy to judge than to be at. After being at a responsible position in a small club of my college I know the hardships and it’s better to take someone’s place before start judging his actions. 6. You happy with what you're studying? I hate studies but since I have to do it atleast I am doing something I hate the least. 7. Your opinion on Indian culture? The Indian culture is the best in the world. The only country to promote secularism in such a well manner. 8. Worse thing about you? If I don’t like you I would say it straight on your face without thinking twice. 9. Your three unfulfilled dreams? Getting a job in Google. The person on whom, I am writing my next blog post. 1- What is your favorite word? 2- Have you any nick names? If so, what and why? 3- Name 5 of the most important Things in your life? 4- 3 physical features you get complimented on a lot? 5- Describe your fighting style: drunken master or angry monkey? 6- What is the wildest thing you have ever done? 7- Have you ever tried to steal? If yes, what? 8- What’s a secret skill that you have? 9- What’s the best advice anyone ever gave you? 10- Have you ever flirted with the idea of writing a novel? Let’s pass it on & see what others have to say…. Thanks for nominating my blog. Will definitely pass this on!